Throughout its 26 year history, the Pacific Coast Air Museum has fostered an atmosphere of fun, community, education, sharing, and dedication. Throughout it all, it has gained a reputation for being a family-friendly community resource where learning is fun, where the past is preserved, where Veterans can share memories and knowledge, and where people can meet to enjoy each other’s company whether they know nothing about flying or are seasoned aviation experts. It’s great to see the historic aircraft on our field, but the real value of the Pacific Coast Air Museum is in its people, and to be able to learn from the men and women who actually flew them about what really happened with the types of aircraft represented there. Our first meeting was held in a small room at the base of the control tower at the Charles M. Schulz-Sonoma County Airport on February 4, 1990. Approximately 21 people attended. These folks held a casual Open House on May 26, 1990 to show off and educate the public about their privately-owned historic and classic aircraft. The Open House was so well received that it became an annual event, and it eventually grew to become the annual Wings Over Wine Country Air Show that attracts about 20,000 visitors over its two-day run. In its earliest days, PCAM displayed just the aircraft that were privately owned by individual members. The first aircraft obtained by the Museum organization was an ancient and battered A-26 Invader attack bomber of World War II vintage. It was in pieces (and was missing many pieces) and partly submerged in a mud puddle on a disused military reservation. It was dug out, shipped to PCAM, and has been undergoing restoration to static display status ever since. Soon, friends, family, and strangers began donating aviation equipment, memorabilia, and even entire aircraft to the fledgling organization. We needed a place to put it all. PCAM took over a small structure which had started life back in the 1940s as a parachute rigging shack and later became a fiberglass fabrication shop. After some much-needed renovation (all done by Museum volunteers) it became the Museum’s meeting place, store room, and exhibit hall. The A-26 was parked outside. In 1993, we received news that the F-8U Crusader in Larsen Park on 19th Avenue in San Francisco was slated for removal and disposal. To make a long story short, that became our second aircraft. It was thoroughly restored to static display status, and because of its history as a Bay Area landmark it is one of our more popular exhibits. In June 1994, a Navy A-6E Intruder flew in to join the collection. And the list goes on. 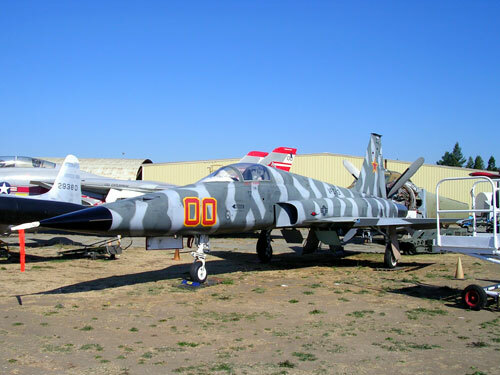 Before long the field outside the PCAM building housed an F-4C Phantom that flew on the famous Operation Bolo mission led by Colonel Robin Olds in Vietnam, an F-5E Tiger II and F-16N Viper from the Topgun school at Naval Air Station (NAS) Miramar, An F-14 Tomcat, and many others. Budgets being what they are, we accepted aircraft where and when and from whichever source they were offered. 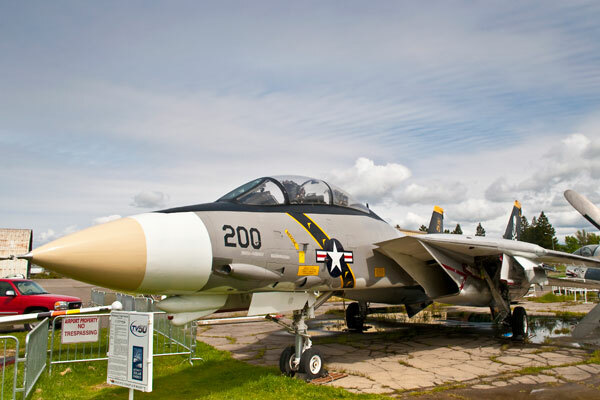 By chance, most of these have been former U.S. military planes, donated by the military itself at the end of the aircraft’s useful life or provided by other museums that for whatever reason no longer needed them. But they’re not all military; we have a Pitts Special stunt biplane and a retired S-2A aerial fire fighting tanker formerly used by the California Department of Forestry. In April of 2016, a private donor provided a Lockheed Jetstar business jet in mint condition. Within the Flight Wing, the majority of our aircraft are civil aircraft, including a 1954 Cessna 170 and a 1946 Stinson Voyager. In addition to aircraft, the museum continues to acquire donations of aviation-related display material, reference books, display engines and assorted historical artifacts. 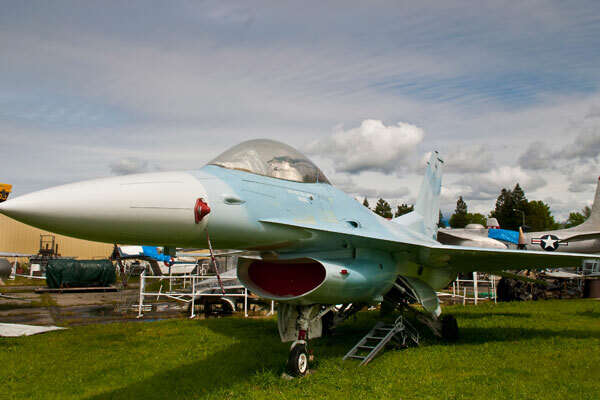 The Museum is also involved in and supports the Experimental Aircraft Association (EAA), the California Department of Forestry (CDF), several Chambers of Commerce, local tourism organizations, the Civil Air Patrol, Boy Scouts, and many other civic groups. The Museum provides speakers for various organizations upon request. The Pacific Coast Air Museum is a growing organization. Our membership is increasing, community awareness of our facility and our educational resources is growing, and our collection of aircraft has almost reached the capacity of our current location. 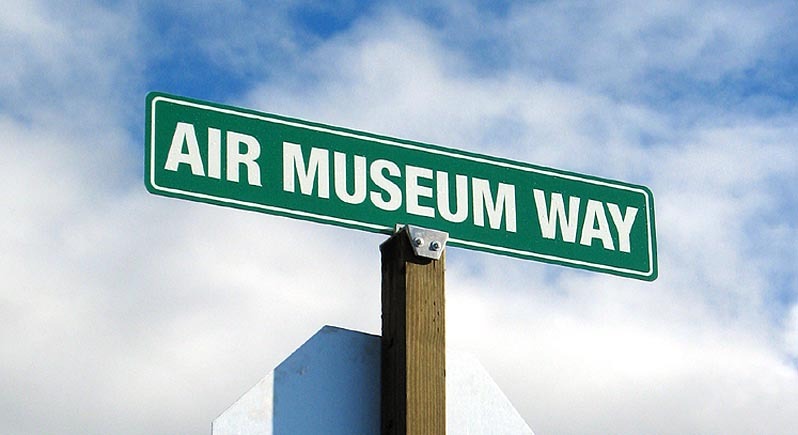 Thus, we have begun a major fund raising drive to build a larger, more permanent Air Museum in a new location at the Charles M. Schulz-Sonoma County Airport. Plans for this are actively under way, and we have raised a significant amount of money to cover the initial discovery and planning phase. Join us as we continue to fly into the future!